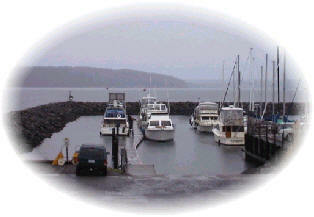 beginning recreational boater to the seasoned professional mariner! THIS SITE IS SECURED BY THE LATEST SSL (https) TRANSPORT LAYER SECURITY! OUR WEBSITE PAGES WELCOME YOUR COMMENTS (SEE Comment Rules). Anyone can Submit Articles to EAB (EverythingAboutBoats.org). Professionally Authored Articles, Reviews, etc. Welcome Peer Reviews. 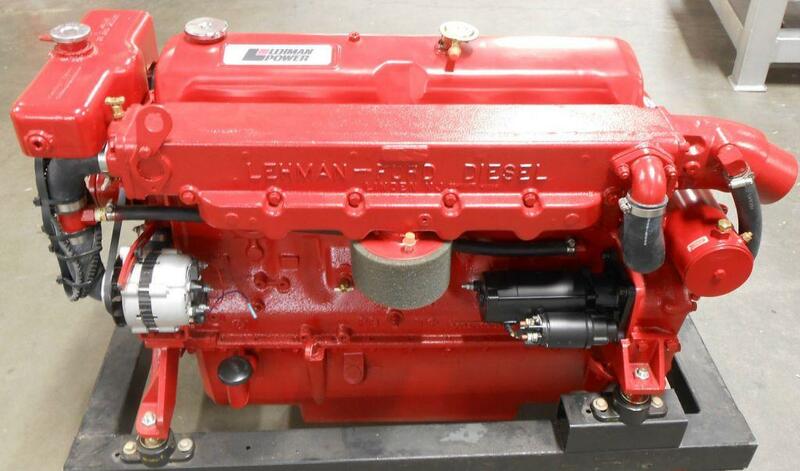 Lehman Manufacturing Company produced marinizing components for the Ford Industrial Power Products (UK) 4 cylinder and 6 cylinder diesel engines,… Click for Engine Specifications … Manuals. 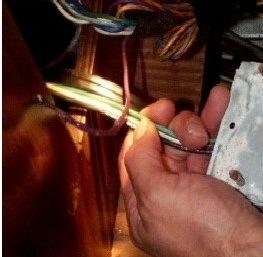 … “Fixes” that need to be accomplished before the engine … Go To Article! Detroit Diesel introduced its first 4-stroke-cycle engine, the 500 cubic inch 8.2L “Fuel Pincher” diesel engine in 1980. … The 8.2 engine utilized several design features found in some automotive gasoline engines… This in part led to the popular mistaken belief that the 8.2 was an adaptation of an existing gasoline engine. … Unfortunately, due to its misguided design and light build the 8.2 proved to be quite troublesome especially in marine service as it was prone to “blowing” head gaskets and… These shortcomings are discussed in detail… Go To Article! Detroit Diesel 8.2L Block. Note the open space all around the “free-Standing” joined “siamese” cylinders. 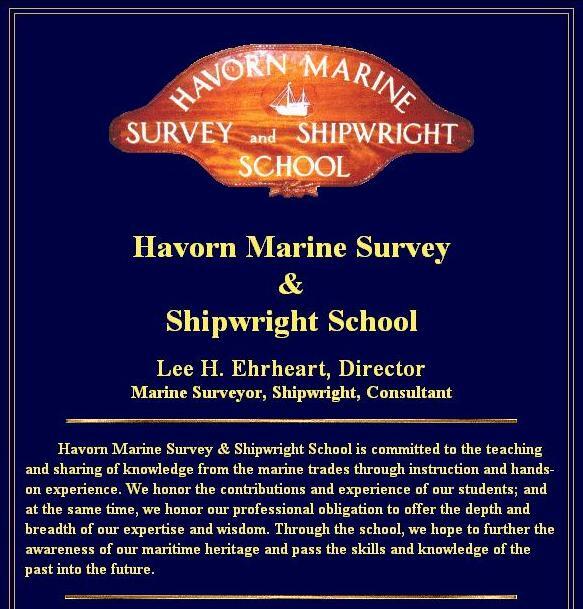 Havórn Marine Survey and Shipwright School offers a course called The Art of Marine Surveying. The five-part program includes hands-on and classroom instruction, plus an optional private apprenticeship w…. Upcoming Class Schedule …. L&I Retraining funds …. Continuing Education (CE) credits are accepted for these programs by SAMS … and NAMS …. Go To Article! 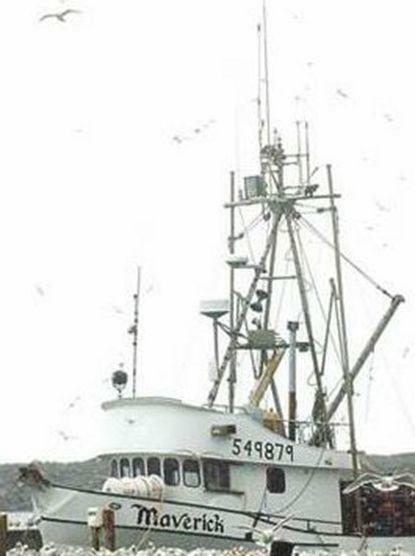 On 28 September 2012, at approximately 0430 Pacific Daylight Time, the Canadian fishing vessel Viking Storm collided with the drifting American fishing vessel Maverick in thick fog, thirty nautical miles off La Push, Washington. The Maverick capsized and sank immediately after the impact; Three crew members on board survived and were rescued by the Viking Storm. The fourth crew member was never found and is presumed drowned. … Surprisingly, the Canadian Transportation Safety Board report does not mention the Viking Storm’s speed as a cause or contributing factor. Apparently it’s ok to run on autopilot at nearly full speed through thick fog at night without anyone in the wheelhouse. … Please comment… Go To Article! Our BOAT TRAILER PLANS feature the most modern, up-to-date, and technologically advanced … to give you a boat trailer that’s equal or superior to those you can buy. … Go To Article! 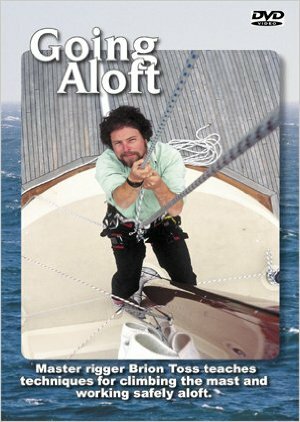 Sailors, yacht owners, and charteres will appreciate this hour long lesson in working aloft. Don’t wait until an emergency to learn the proper safety routines and teamwork for climbing the mast. Get details on methods, and related knots, gear … Go To Article! Boats have a wide variety of shapes and sizes and construction methods due to their intended purpose, available materials or local traditions. … Go To Article! Charles E. (Mac) McCurdy and his wife Toni founded the Des Moines Yacht Club in 1957 as the Vagabond Outboard Boating Club, with eight charter members. Waterfront property, approximately 50′ X 350′ was purchased late that year providing … Go To Article! The Cummins Engine Company was founded in 1919 by namesake Clessie Cummins, … History … Cummins first diesel was the 1.5 to 8 hp HVID … 60% of production in that first year was marine. 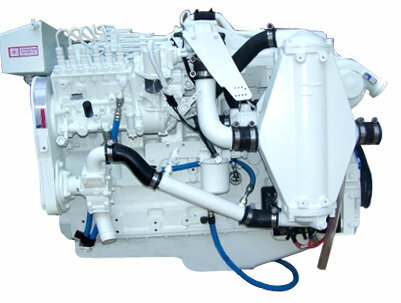 … In 2002, Cummins entered into a 50/50 joint venture with Brunswick’s Mercury Marine division … Cummins sells in approximately 190 countries and territories through a network of more than 600 company-owned and independent distributors and approximately 6,000 dealers. … Click on Model (Link) in engine specification table below to view Spec Sheet. … Go To Article! Cummins 5.9L. Note the huge seawater-cooled charged-air Aftercooler. 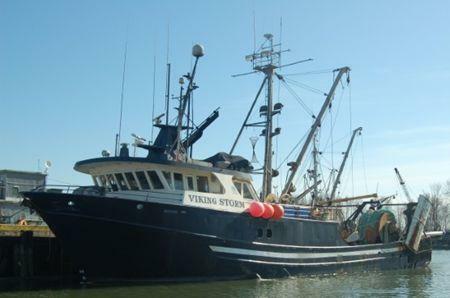 Modern vessels types are many, so they are first categorized by their general function (recreational, commercial fishing, passenger, cargo, warfare, enforcement, research, recovery, etc). 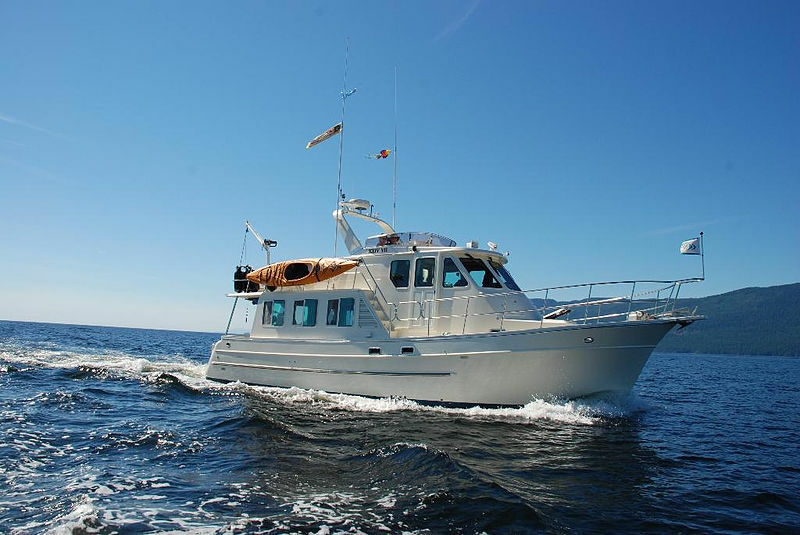 Recreational vessels are further grouped by … Go To Article! The USCG produced the following handbooks to help recreational boaters and commercial fishermen comply with the Federal Requirements. … The Inland Navigation Rules (part of Navigation Rules – far right) must be carried on each self-propelled vessel 12 meters (39.37 feet) or more in length and ‘readily’ available …within 2 minutes of the need … Go To Article! Nations around the world have developed statutes and regulations that effect boat construction, and the design and manufacture of boat equipment; and have participated in international conventions, treaties, and agreements that apply … Go To Article! New Hans Christian 41′ Traditional receiving final fitting-out at Pantawee Marine Co., Ltd. near Pattaya, Thailand. 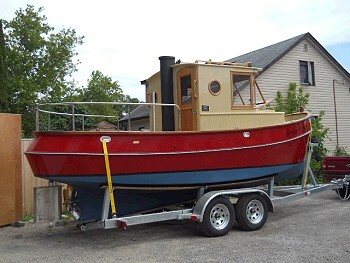 Courtesy of BlueWaterBoats.org and Francis Mertens. The USCG produced the following handbook to help boatbuilders comply with the Federal Requirements. 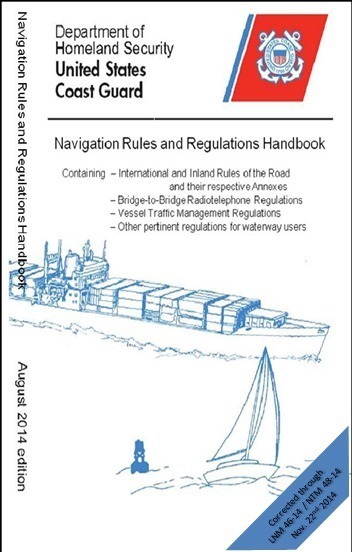 Recreational boat owners, refitters and repairers will also benefit from the information contained in the handbook. … nearly 600 pages … FREE DOWNLOAD … Go To Article! 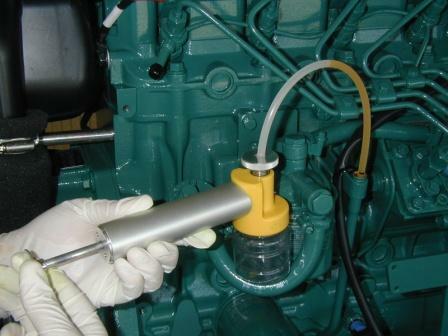 Taking a Proper Engine Oil Sample for Analysis: Vacuum Extraction is the most recommended method of taking an oil sample if the engine is not equipped with an oil sampling probe valve. With vacuum extraction, a length of plastic tubing … Go To Article! ZF Marine was founded in 1915 in Friedrichshafen, Germany by Ferdinand von Zeppelin, to produce gears for Zeppelins and other airships. ZF is now the largest supplier of marine transmissions, propellers, surface drives, and controls in the world. … Click on Model (Link) in Marine Gear specification table below to view Spec Sheet. … Go To Article! 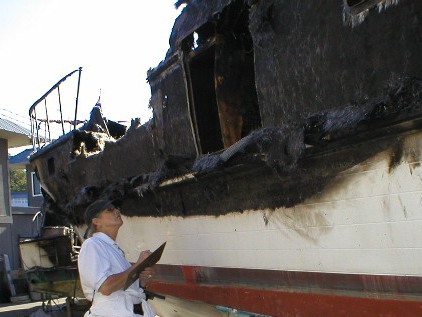 Lynne Reister is an inspector of vessels no matter what the materials, size, or age. Looked to as a specialist in wooden vessels she is often sought for advise and service due to her willingness to help her clients. Lynne is known for her thoroughness and … Go To Article! 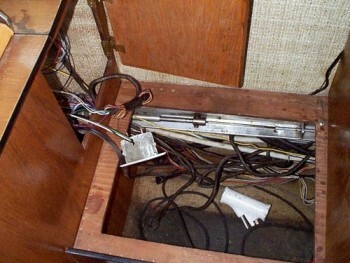 Dock tragedy shows danger of fresh-water marinas: The danger of fatal electric shock in fresh water was all but unknown when an American child from Oregon, Lucas Ritz, just 10 at the time, was electrocuted … Read Kevin Ritz’s riveting story of his family who did everything right from a safety perspective, yet lost their son in a tragic incident. … Multnomah County River Deputies … We found 13 boats leaking potentially lethal electrical current into the water. … Go To Article! 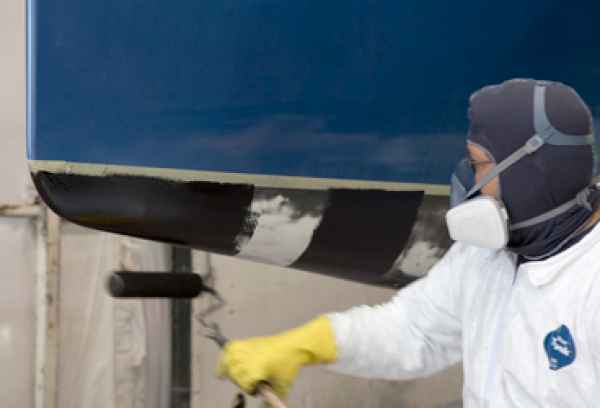 Avoiding The Boatyard Blues: Costs And Fees: The next time you sit down with your boatyard manager to discuss a repair, maintenance, refit, or installation project, be prepared with a few questions … Go To Article! 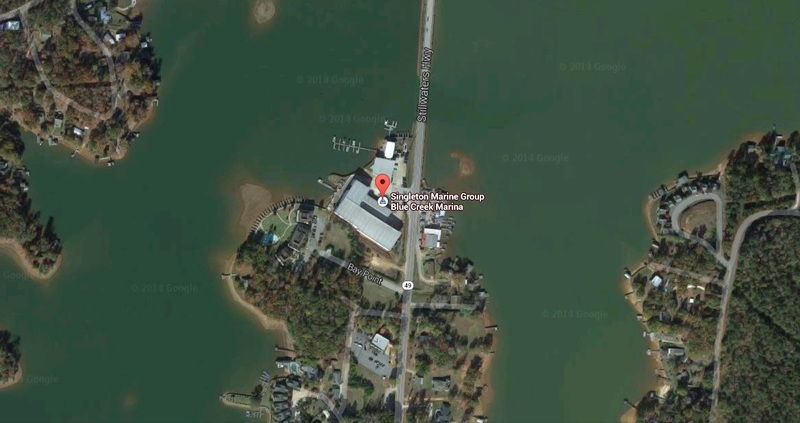 Blue Creek Marina is located on beautiful Lake Martin in east central Alabama. 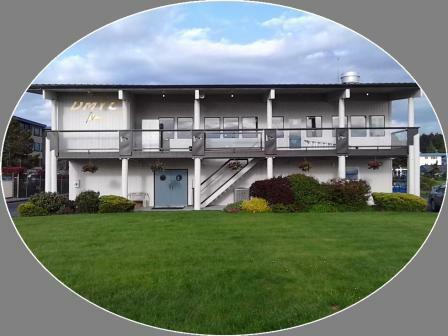 Though it says marina in our name, the Blue Creek Marina experience is so much more. … Go To Article! EverythingAboutBoats.org website exceeds 10,000 webpages of information about boats and boating with a goal of another 10,000 pages added over this next year. Could the information on these pages save you hundreds or even thousands of dollars … Go To Article!